Made to be same as the original Swedish M41B sniper mount/base. Screw holes on the base will align with existing holes on the original M41B sniper. Includes 3 mounting screws, 2 pins, drill/tap kit, as well as 4 steel 1 inch inserts so that 1 inch scope can be installed. This mount has windage adjustment. All steel repro M41B sniper mount without base. Made to be same as the ORIGINAL Swedish M41B sniper mount. This mount will only fit the ORIGINAL M41B base. It may require a little bit fitting. 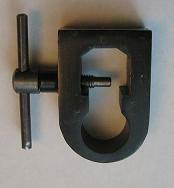 Includes 4 steel 1 inch inserts so that 1 inch scope can be installed. This mount has windage adjustment. Can also be clamped on Accumount steel Swiss K31 clamp-on mount. Diameter of the rings is 26.5mm. 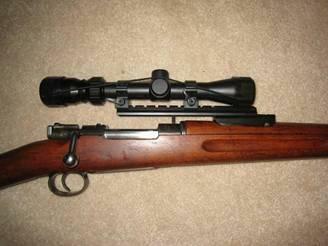 Also includes 4 steel 1 inch inserts so that 1 inch scope can be installed. 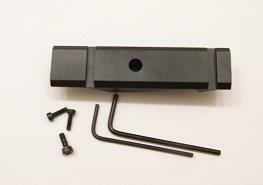 The 3/8" dovetail side base fits German K98, Swedish M38/M96 and Yugo M48, M48A and M24/47. It may also fit SpanishMausers and Turkish Mausers. This is for SSR base only, SSR mount is NOT included. 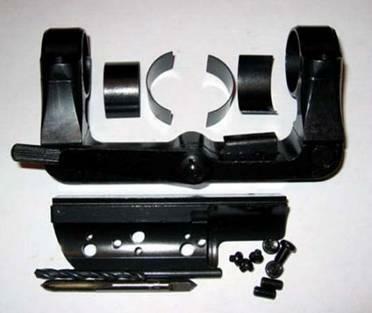 This dual purpose no gunsmith mount system has two layers of mounts. This mount system serves dual purposes. 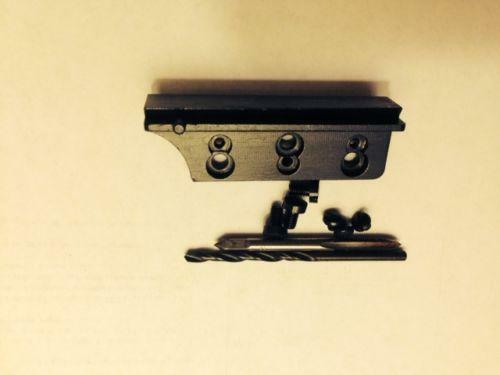 The bottom steel mount is a fully functional "scout mount" that is installed on the rear sight. You can put a LER or pistol scope on this "scout mount". You only need a straight bolt when using scout mount. The top layer is a removable aluminum rail that mounts on top of the steel scout mount. You can also put regular scope on the top rail, provided you have a bent bolt.With this system you have a choice of either installing a regular scope or a LER scope without permanently modifying your Swedish Mauser M96. This is a "scout mount" goes on the rear sight of Swedish M96. You can put a LER or pistol scope on this "scout mount". You do not need a bent bolt when using this steel scout mount. This is a "scout mount" goes on the rear sight of Swedish M38. You can put a LER or pistol scope on this "scout mount". You do not need a bent bolt when using scout mount. 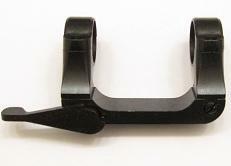 This is a "scout mount" goes on the rear sight of Swedish M94. You can put a LER or pistol scope on this "scout mount". Made from blued steel, precision machined. 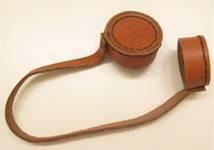 Works great with our new sight adjustment wrench that are currently available in our other items. - Made from blued steel, precision machined. 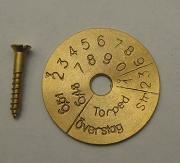 Repro brass Swedish Mauser stock disc without screw. Aluminum disc is NOT included. Two repro windage adjustment screws for the original M41b and SSR mount. These are M3.5 screws. 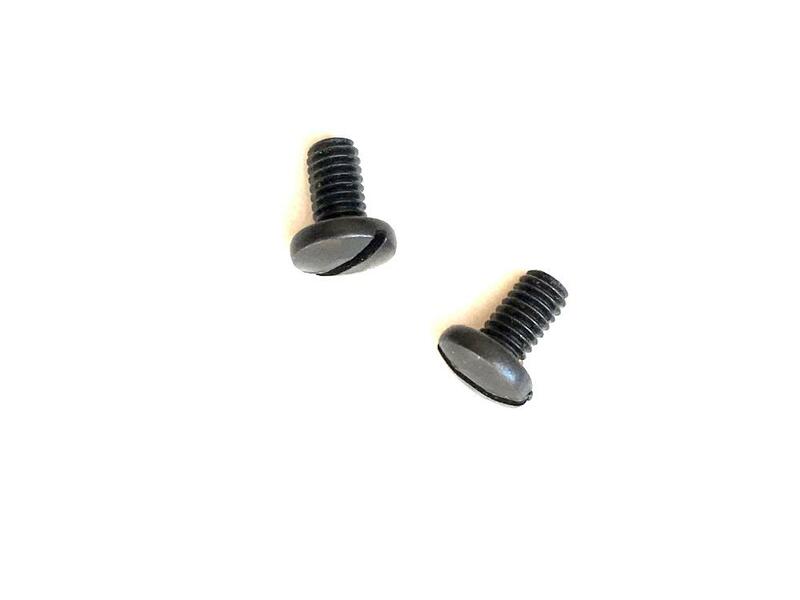 Two repro windage adjustment screws for repro M41b and SSR mount. These are M4 screws.